Depending on your business requirements as small business owner, the process in setting up either 1300 or 1800 numbers can become quite complex. Often times government bodies make the whole process more complicated due to a whole lot of features that are required such as time based routing, overflow as well as a daunting provision process. In general, most companies should be able to easily supply you with free setup, configuration updates, etc. From here, your next step involves getting your 1300 number by settling on a few numbers or an actual number. Telcos (Australian telecommunication company) would have a public list of numbers that has a thousand or more available numbers listed. Unfortunately, due to these numbers being available to most people, a lot of the sought after numbers are already taken. 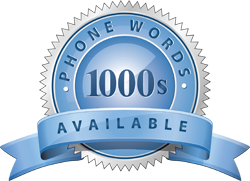 Should you be looking to source a phone number that spells a word, you would call it a smartnumber which you would purchase from an auction. On the other hand you could always get in touch with 1300EasyDial based in Australia. The minute you selected a company, and found numbers that are suite, you should make your application. In general, 1300 numbers would only get supplied on credit. Therefore, you can expect to sign a contract or even conclude a direct agreement with the Telco company. In most cases you need to wait around 5 to 6 business days to get your number registered and ready to use. One example relates the true story of a powerful group marketing manager, Byres. As the Group Marketing Manager of Motor Finance Week, he was offering low cost finance to all used-car buyers. Telstra made use of 1300 numbering for which the phone word would be 1300CarlLoan or 1300 227 562. You could cage that the number was central to an advertising campaign to help create an awareness around car financing services. It is best to call 1300 numbers due to the ease of remembering businesses phone numbers. In turn, customers will remember your brand. It peaked to about 10,000 in July month, and went on to settle at around 7500 since October. Nowadays the 1300 numbering system changed dramatically with regards to inquiry mix of which 3/4 of it comes through the phone number. According to resources, ads using phone name numbers would generate nearly three times more. 1300EasyDial can vouch for that as they have all kinds of businesses getting in touch with them to help secure an appointment due to a hardly noticeable customer incoming calls coming their way. It makes perfect sense to go with the professional like 1300EasyDial.